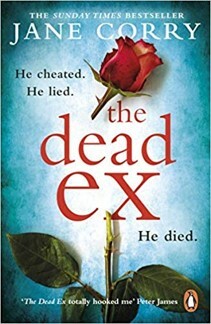 When Vicki’s ex-husband David disappears, she is relieved until she discovers that the police think he is dead, and that they think that she killed him. And so begins this immersive domestic thriller, one with a dark heart. The story is told by different characters, mixing the past with the present which adds an air of mystery to the proceedings. The author has done a terrific job of keeping these stories separate, so they all run in parallel like tram-lines that only meet at the very end of the line. Thankfully the chapters are short, the dialogue terse as the reader cannot see how Corry will knit these narrative strands into a conclusion. There is misdirection as well as the reader pondering on the veracity of Vicki’s recollections, as her epilepsy has left gaps in her memory. Then there are the recollections of a child named Scarlet and her overbearing and unpleasant Mother; and recollections of David’s wife Tanya, and then there’s the mysterious and seductive Helen. This follow-up to My Husband’s Wife and Blood Sisters, is indeed a page turner filled with very devious twists and turns. The author has thrown in plenty of misdirection which all adds to the mystery and keeps the suspense going beyond the dénouement; for it resides in the readers’ mind like a scream from a prison cell when the door is bolted at night.